Woodbury Fisk arrived in St. Anthony with his friend Thomas Andrews and his brother-in-law John Pillsbury in 1855. All three went on to amass fortunes. Fisk did so by first selling hardware to the lumber trade and later by joining Pillsbury’s flour milling business. Woodbury Fisk has just completed and moved into one of the best residences in the city; perhaps we ought to say the best. …. The location is pleasant, exceedingly, and is destined to become more so, every year ... The cost will not be less than $15,000. It is an ornament to the city, and will be as desirable a residence as one could wish. 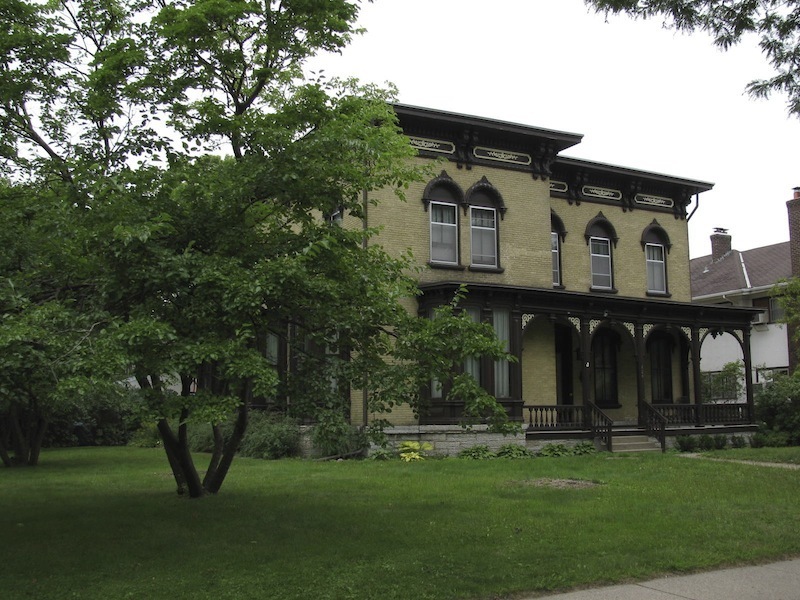 Although the architect of the Woodbury Fisk house is unknown, the house, listed on the National Register of Historic Places, is one of the neighborhood’s best examples of Italianate Revival architecture. Noteworthy features include the low-pitched roof, wide overhanging eaves supported by decorative brackets and pairs of tall narrow windows capped with heavy cast iron. The home also features a distinctive porch lined with chamfered, or beveled, columns. At the time of his 1889 death, Fisk’s estate was valued at more than a quarter million dollars (approximately $6 million today) and included the entire side of the 5th Street SE block where this house is located. 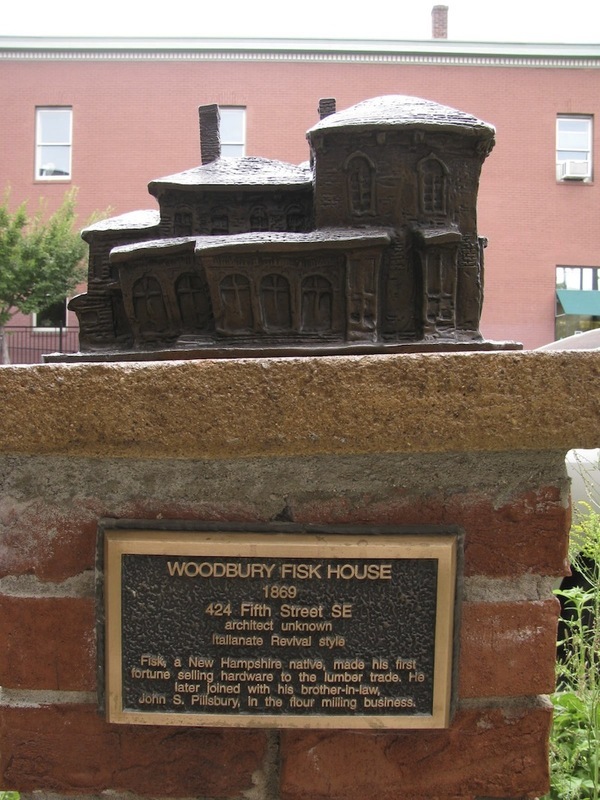 Marcy-Holmes Neighborhood Association, “Woodbury Fisk House (1869) ,” Minneapolis Historical, accessed April 22, 2019, http://minneapolishistorical.org/items/show/82.